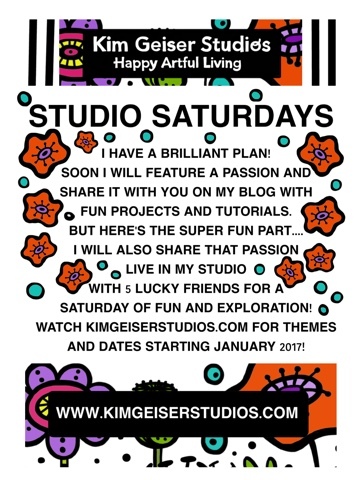 Kim Geiser Studios: Studio Saturdays! One of the things I learned from the Michaels Makers Summit is that I want to really buckle down and form a plan to get my work out there and that includes blogging consistently. I thought why not combine my love of teaching live with my blog and offer a monthly in studio session to just 5 people. The day long class will focus on projects that I feature each month....for example one month may be polymer clay. So that month on the blog I will feature projects, share tutorials, give tips and tricks on polymer clay and then for the live studio day you can come learn directly from me in a small intimate studio session. We will do live video during class so everyone can see the fun we are having and get everyone excited about the projects! The cost of the class will include all supplies and you will be included with pictures of your projects on my blog! How fun is that?!? I will put my project calendar out soon so watch this very blog for updates! 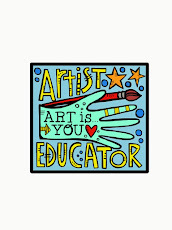 And let me know your ideas and thoughts on what you want to learn! I want to share everything that's stuck in my crazy colorfilled mind!